Evelyn Cormier is one of the well-renowned singer, songwriter and TV personality around the globe. Once, she had walked into the well-known television shows 90 days Fiance season 5 and American Idol season 17. She earned popularity as a singer and songwriter as she is 19 years old. Hence, Evelyn is an excessive singer having great personality including her versatile singing talent and skills. What is Evelyn Cormier Famous for? An American singer, songwriter and TV personality. Her versatile singing talent and skills. Where is Evelyn Cormier born? Back to her life, Evelyn Cormier was born in the United States and continued her childhood. She grew up with her little brother Solomon Cormier in the United States. She had a great passion for music as she used to play a different musical instrument since her childhood. Evelyn always had a vision of being a popular singer as she used to take part in the different singing competition since her childhood. She graduates from the United States as she was very serious about her career. She was from a small family whose parents were very supportive of her. She had a great interest in music as she used to write her own songs during her childhood. She owns a musical band which consists of her brother along with other musicians. Information regarding her parents and siblings hasn’t been revealed as the material is still hidden. In the case of disclosed, we will let you know. When did Evelyn Cormier pursue her music career? Evelyn started playing violin when she was just 5 years old and later decided to pursue her career in music. She thus dropped violin and began taking singing classes. Evelyn began writing her own music when she was barely 12. This came after her father taught her few chords and in only two years, she had her own band that included adult musicians. By the time she turned 15, she was already doing gigs as a paid artist around her hometown. Later, she did her internship at Lake Sunapee Baptist Church as the worship leader. She released her debut EP “Ghost” in April 2017. As of today, she has released five singles and is working in Georgia for her further projects. 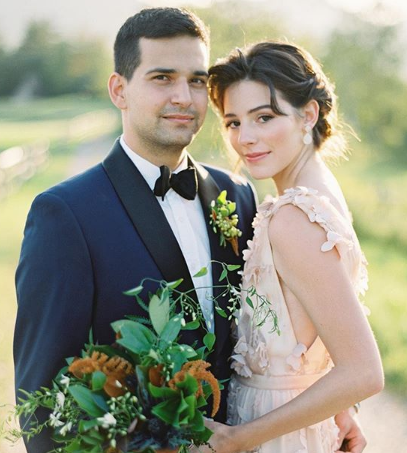 Similarly, Evelyn starred alongside her husband, David Vazquez Zermeno on “90 Days Fiancé” in October 2017 and got married in Claremont, New Hampshire in the same month. 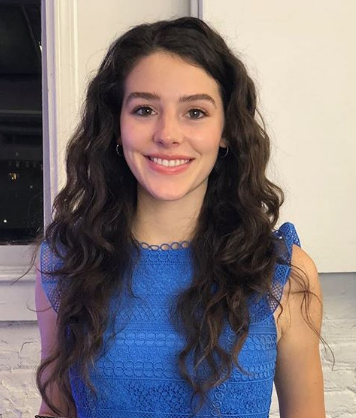 Further, Evelyn auditioned for American Idol in March 2019 where she won the hearts of the judges Katy Perry, Luke Bryan, and Lionel Richie. With time she managed to climb her way up to top 20 in the wake of April and hopes to keep going till she wins the competition. On Monday, April 15th Evelyn Cormier failed to make it through with America’s votes. She had to step up to the microphone to sing for the judges’ picks for the top 10, singing “Dust in the Wind”. Judge Lionel Richie said he loves her voice and said he’s a fan. Katy Perry called her a “super pro”. Who is the husband of Evelyn Cormier? Multi-talented singer Evelyn Cormier is a married woman. She was happily weeded to David Vazquez Zermeno. But, she hasn’t shared info regarding the date and place of the wedding. The pair seems to be having a limitless love and support for each other. The couple is happy together as there are no buzzes of collapses. Furthermore, information regarding her children is still unrevealed. How much is Evelyn's net worth? Evelyn has made a fine sum of money for herself during her successful career in singing and TV shows. Hence, information regarding her net worth hasn’t been revealed yet. In the case of revealed, we will let you know. Further, he has now reached the level of respect and inspiration for the future generation. How tall is Evelyn Cormier? Observing her body physics, Evelyn has beautiful and gorgeous looks with brown eyes and well-maintained body structure. She stands up with an appealing height and good physique. Blessed with an extraordinary physique, Evelyn has an influencing personality. She regularly does yoga and body exercises for maintaining her figure as she has her own way of beauty. Moreover, she hasn’t shared any info regarding her height, weight, bra size, figure size, shoe size, and body measurement. In the case of disclosed, we will let you know. Evelyn started playing violin when she was just 5 years. Evelyn began writing her own music when she was barely 12.